Late entries will be accepted up until 11.00pm on Friday 8th March however a late-fee will be applicable. We will not accept any late entries after these advertised dates, sorry! To encourage our local schools to compete we are trialling a few new sections. To qualify your dance school must be within 60km of the Events Centre Caloundra according to Google maps and the groups are limited to TWELVE (12) dancers per group. Please note: You can enter a maximum of two (2) dances per Local Group section if you qualify. In 2019 we will only be opening this to 12 years & under and 15 years & under only. It is compulsory that every dancer entered in this competition has a season pass. This must be purchased through the Studio Teacher via Stardom. Teachers please note that all dancers will require a GROUP PASS even if they are entering SOLOS. With the splitting of the Sunshine Coast Dance Eisteddfod into two competitions all your dancers will need a group & a solo pass if they are going to enter both competitions. Passes are $11 per dancer and payable at time of entry. These passes are only valid for groups weekends. Please note that this group pass cannot be used on Friday 10th May on Educational School Day. Students that have entered our solos/duos/trios/repertoire competition and purchased a SOLO pass please note that this cannot be used for group weekends OR Educational School Group day, 10th May 2019. Each Dance Studio is eligible to receive a maximum of 4 passes. Misuse of Teachers passes may result in penalties for Groups. Please have ONE representative collect your passes from the Admin table on arrival. Teachers will be emailed the programme as it becomes available! You will get a proof to edit first and once that has been checked by Teachers the final program will be emailed. This is not for circulation but for your own planning and use. Studios will be given one free copy in their welcome packs. Subsequent copies available to purchase. Please advise if you wish to have one posted prior to the competition. Prior to the event, hard copies of the group programme will also be available for sale at Showtime Dancewear at their Kuluin or Warana stores. Programmes will also be on sale at the Eisteddfod. At the time of checkout and payment you need to print & have a copy of your Stardom invoice as proof of payment. Should this not be generated then the payment did not go through but can be easily rectified through Stardom. We regret that entries/invoices not paid for in full via Stardom by the 8th March will not be included in the competition or the programme. Teachers can you kindly purchase dancers season passes and order advertising via Stardom at the time of checking out if possible. Thank you to those who have ordered student passes promptly in the past. We do not have the manpower, so this would help us greatly by doing this at the time of entries. Now that all dancers competing in groups require a group pass this should be so much easier. This is held at the Events Centre Caloundra for 1 month following this event. Please contact them with your enquiries. 2. Place your order by email info@dancesunshinecoast.com.au. Payment can be made by direct deposit. 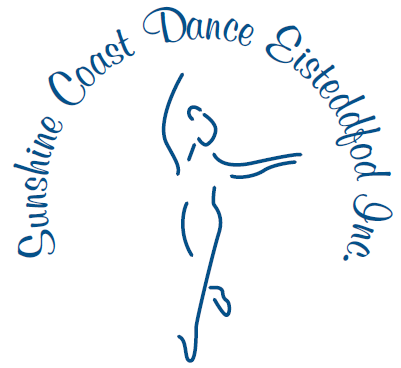 Acc Name Sunshine Coast Dance Eisteddfod Inc. FACING THE AUDIENCE. PENALITIES MAY BE APPLICABLE. HOSIERY MUST BE WORN. Protests must be made in writing and handed to the Secretary within half an hour of the cause of the protest arising, accompanied by a fee of $50.00, which will be forfeited if the protest is considered frivolous. The decision of the Eisteddfod Protest Committee will be final. A maximum of two groups only per Studio are permitted to enter in any one section. Group sections are determined by the age of the eldest competitor in the group. The minimum number in any group is 4 dancers. Competitors are permitted to appear in both groups. The Teacher has the responsibility of checking in their groups and seeing they are marshalled ready to dance in turn (in the order of the programme). There will be no official marshalling and failure to appear in turn will not be the responsibility of the Eisteddfod Committee and you will forfeit your entry. On competition day and if the organisers are advised prior, if possible, we will adjust the programme to suit to allow costume changes on the day. Note: NO ROSIN ever to be used on the stage. Note: SONG & ANY DANCE GROUPS – THIS IS THE ONLY SECTION THAT THREE (3) ENTRIES ARE ALLOWED, AND AT LEAST ONE (1) ENTRY MUST BE A SONG & TAP GROUP ITEM. An item from a Musical, to include acting/dialogue, choreographed movements/dance & live singing (no lip-syncing, no vocals on backing tracks allowed). This must be presented in the style and content of the original Musical. Song & Dance items are not acceptable in this section. PLEASE STATE THE PARTICULAR TITLE OF THE ITEM YOU WILL BE PERFORMING AS YOU CHECK-IN at the ADMIN table. No dancers will be penalised for technical difficulties beyond their control. ALL TEACHERS ARE REMINDED TO HAVE BACKUP COPIES OF ALL MUSIC. Only CD, iPod, iPad with back-up copies are allowed. Music will be taken to the control room by YOU, the TEACHER, and will be played by our sound technician under your supervision. We ask you to be respectful of the amount of people backstage acting as support – 1 or 2 Teachers maximum per group. Backstage management has the right to remove anyone at any time and we ask that you always follow the directions of the Stage Manager or face penalties. 19. Competitors must not rehearse on stage or the polished timber floor in the ‘Glasshouse’ dressing room. The taking of photographs by cameras, video cameras or mobile phone cameras of any performance is strictly forbidden. This is a rule of the Child Protection Act. Professional services are provided in both photography and videography and is to be arranged with the consent of the Parent/Teacher prior to the performance. Any device with a screen is strictly forbidden to be used by audience members during any performance. Should this rule not be adhered to then this may result in disqualification for the studio in question. NO tapping EVER on the polished floor in the Glasshouse dressing room. In shared dressing rooms, all competitors and associated parties are expected to demonstrate respect for the space, costumes and belongings of others always. Each Dancer will be responsible for keeping their dressing space clean and tidy. The toilets/bathrooms cannot be used as change rooms or for hair and make-up. A $200 cleaning fee will be charged to the studio in question if any studio/school leave their area unclean/untidy. We have Male and Unisex Dressing rooms available so please ask to be directed on arrival. Ribbons will be awarded to all competitors in the younger age groups and Educational groups. Winners will be announced after each section. There will be no presentations of trophies on stage for the two group weekends. These sections will be included if there are sufficient entries. No person will be permitted to leave or enter the auditorium whilst any item is in progress or whilst adjudications are being given. SPECIAL NOTE: STUDENTS MAY NOT SIT IN THE FIRST THREE ROWS OF THE THEATRE DURING THIS COMPETITION. 25. Entry fees are Non-Refundable. The committee will advise you as soon as humanly possible of the scheduling, so you may proceed with your transport etc via the email information listed on Stardom. We understand how important this is for schools and do our very best for you. Please be advised that the section you enter is determined by the oldest Competitor, younger dancers may participate in older sections. e.g. A student in Grade 8 but may compete in Secondary Sections Grade 10 to 12. Please advise parents of this rule as we had some feedback regarding this in 2018. In dance it is normal to dance-up as long as the total team does not have a dancer who is in a higher school grade than specified. All entries and payments are to be submitted online via Stardom – www.stardom.com.au . To avoid errors, only entries made online will be accepted. Tickets to watch the performances are to be purchased through the box-office at The Events Centre, Caloundra. Usually this is a sold-out event. Tickets will go on sale on Tuesday 9th April 2019. These can be purchased from the Events Centre, Caloundra. Times for the sessions cannot be determined until entries close. Two (2) Teachers passes per school are available free of charge with any pre-purchase of tickets of 20 students or more through the box-office. Teachers will be emailed the programme as it becomes available! Schools will be given one free copy with subsequent copies available to purchase for $15. Prior to the event you may purchase hard copies of the group programme at Showtime Dancewear at their Kuluin or Warana stores. We regret that we cannot post any programmes. Please ensure the Stardom entry includes the contact email address and phone number for the Teacher in charge of your dance department. This will avoid the communication problems we have encountered in the past. Failing that all communications will come to you via the stardom listed information so please check these sources for information before contacting the committee. 2 This Eisteddfod is open to amateurs only who have not or are not receiving income is derived from the particular class for which they entered. 3.. This is a family-oriented dance eisteddfod; therefore costumes, routines and lyrics must be suitable. 7. ALTERATIONS; CHANGES TO THE PROGRAMME OR ADJUDICATORThe Committee reserves the right to make any alterations or additions to the programme when they become necessary and to appoint a Substitute Adjudicator at any time without notice. Competitors dance in all sections AT THEIR OWN RISK & in the ORDER ACCORDING TO THE PROGRAMME. Competitors must be prepared to provide Proof of Age/Grade if required. A maximum of two groups only per School are permitted to enter in any one section. Except for section GO37B Primary School Any Dance where 3 groups will be accepted per school. Group sections are determined by the age of the eldest competitor in the group. The minimum number in any group is 4 dancers; the maximum number is 50 Dancers. Competitors are permitted to appear in both groups. The Teacher has the responsibility of checking in their groups and seeing they are marshalled ready to dance in turn (in the order of the programme). No pre-recorded tapping during dance sections is permitted. Tap shoes must not be worn in the auditorium and tap shoes must be removed or covered backstage. Great care is needed on the polished wooden floor, if you are Tapping (Tap Dancing) you must not tap or rehearse on the wooden floors. As this is a friendly Eisteddfod that respects all who wish to take part, bad sportsmanship will not be tolerated. Anyone who distresses a Teacher, Competitor, or a Volunteer will be subject to the Disciplinary Action Schedule. No groups will be penalised for technical difficulties beyond their control. Music will be played on your behalf by technical crew. We will accept Audio CD USB sticks or devices (on airplane mode). If on CD we will require two copies and they must be audio CDs. If USB sticks we require ONE song per stick. All devices must be taken personally to the control room. ALL GROUPS MUST HAVE BACKUP COPIES OF ALL MUSIC. TWO CDs per dance MUST be submitted at the time of check-in. Tip: CDs used repeatedly can fail so we suggest you check the quality of your CDs prior to competition. In addition, it is advised to bring along a device such as a smartphone/iPad as another backup. Please label your music with the following information in BLACK. This is required on the CD itself as well as on the case it’s in. PLEASE DON’T FORGET TO COLLECT YOUR MUSIC AFTER YOU HAVE COMPLETED YOUR SECTION! 18. Competitors must not rehearse on stage or the polished timber floor in the ‘Glasshouse’ dressing room. A Trophy is awarded for 1st, 2nd, 3rd. Ribbon Awards for 4th, 5th and HC. Reports are given for ALL dances. It is the schools’ responsibility to collect their written reports/awards from the administration table before leaving the premises. ONLY Teachers may collect schools awards/ribbons/report sheets. No person will be permitted to leave/enter the auditorium whilst any item is in progress or whilst adjudications are being given. The doors will open 1 hour before the session starts on the morning of the 10th May 2019. It is advisable that all Schools are on the premises 1 hour before the start of the Session. Food will be available for purchase at the Events Centre. We aim to have a menu including prices listed on our Facebook page prior to the eisteddfod. Per rule 20, please discourage eating in the dressing rooms. LASTLY, VERY IMPORTANT! EVERY school needs to report to the administration table prior to leaving The Events Centre to collect all reports, ribbons, music. The SCDE Committee will not post out anything after the day of the event. Up to 3 groups may be entered. Up to 2 groups may be entered.